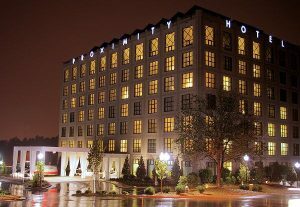 Proximity Hotel in Greensboro, North Carolina was the first LEED Platinum Hotel in USA. LEED is the U.S. Green Building Council’s rating system for designing and constructing the world’s greenest, most energy efficient, and high performing buildings. This weekend we were able to experience what it means to be in the LEED. The hotel uses 100 solar rooftop panels to heat the water for the hotel. That’s right; there are 4000 square feet of solar panels on the roof of the hotel that are used to heat the water. We could see the panels as we approached the building but they didn’t take away from the grandeur of it all. The white flowing, sheer curtains at the entrance made it like we were on a tropical resort, despite the icy temperature. Who’s heard of self-powered elevators? Proximity installed the first regenerative drive elevators in North America; what that means – they generate electricity on the descent for the ascent. 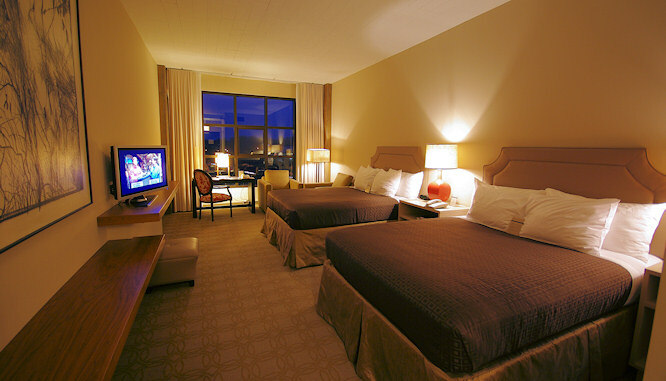 With an abundance of natural lighting (7’4” square windows in our double queen guest room), we were given a direct line of sight to the outdoors with the extremely energy-efficient windows. Since we were on the 8th floor, we were able to leave the curtains open and wake up to the natural light. It was refreshing! Since I have a 9 month old, sleeping in is a thing of the past, but the natural light was a welcoming start to our day. Overall, the building uses 39% less energy than a conventional hotel/restaurant by using ultra efficient materials and the latest construction technology. Water usage has been reduced by 33% by installing high-efficiency Kohler plumbing fixtures. 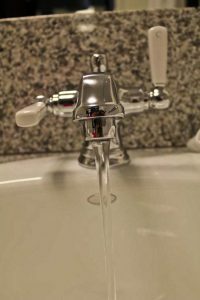 I’d give up a little bit of pressure for efficiency but showering and using the tap water didn’t even seem any different than most hotels. Proximity recycled 87% of the construction debris and used over 20% recycled content. The bistro bar is made of salvaged, solid walnut trees that came down through sickness or storm. Room service trays are made of Plyboo (bamboo plywood) and pencils are made from recycled newspapers. When I first picked up the pencil to write down a number, it looked like someone sharpened it with a knife, all jagged and rough. I took a closer look and noticed it looked like paper. Sure enough, when I read the label, it said made from recycled newspapers. How cool is that? Proximity sourced over 40% of the building materials and 90% of the furniture locally. 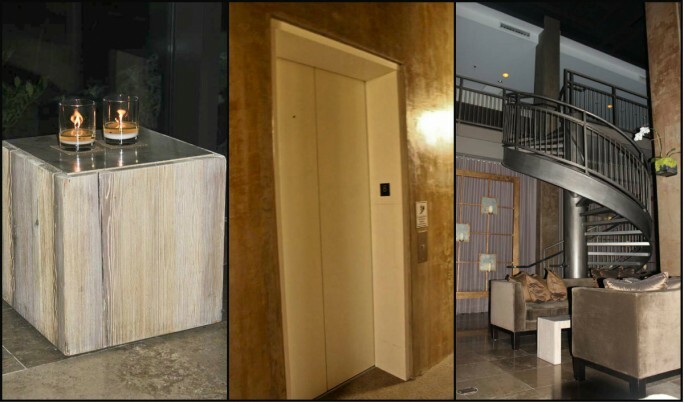 They commissioned local artists and craftspeople for original art in every guestroom, a cantilevered reception desk, spiral staircases in the lobby, and accessories. Print Works Bistro uses fresh, local ingredients. 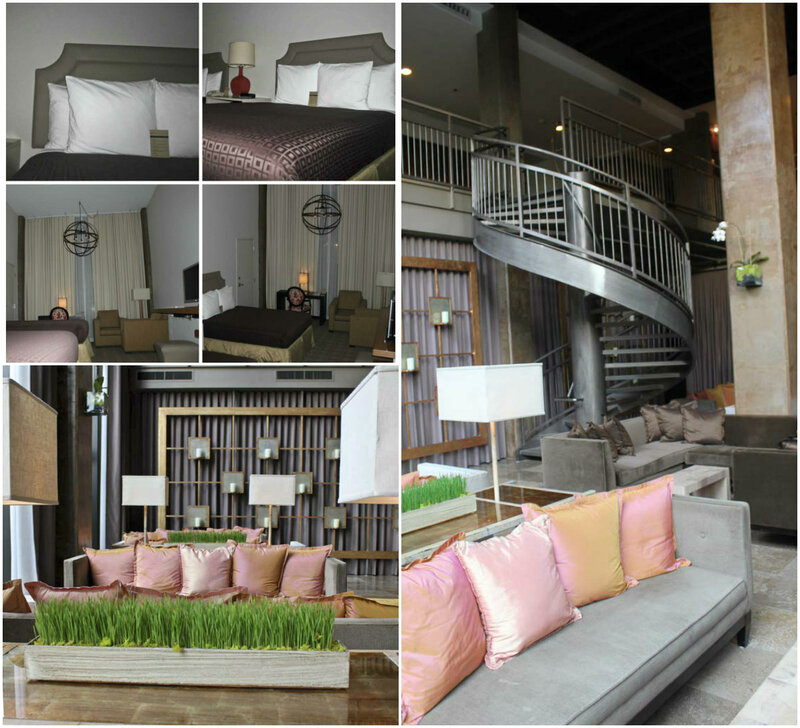 Proximity Hotel is a showcase for high-performance and energy-efficient. 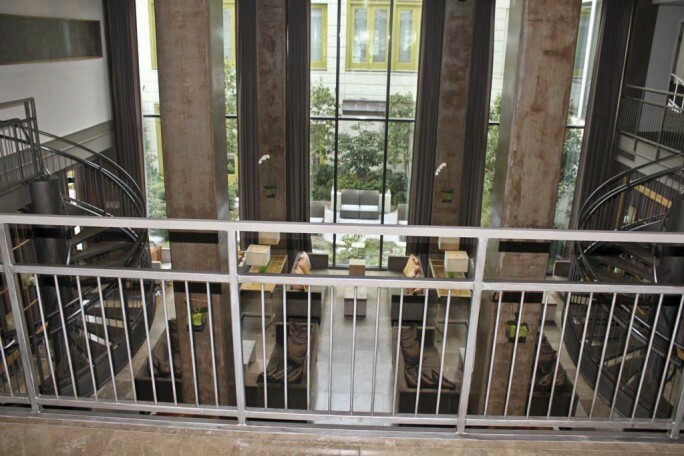 It’s a green and eco-friendly hotel that doesn’t give up style for sustainability. 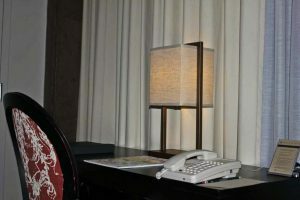 Other hotels can certainly take a recycled page from their books. 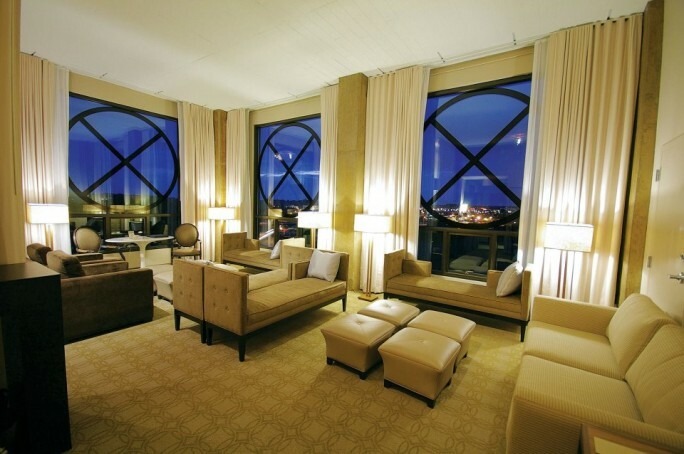 We enjoyed the spectacular views, relaxing atmosphere, and spacious rooms. Even though the weather didn’t cooperate, we didn’t mind spending the weekend at Proximity Hotel. We didn’t even have to leave the grounds to enjoy a scrumptious dinner.